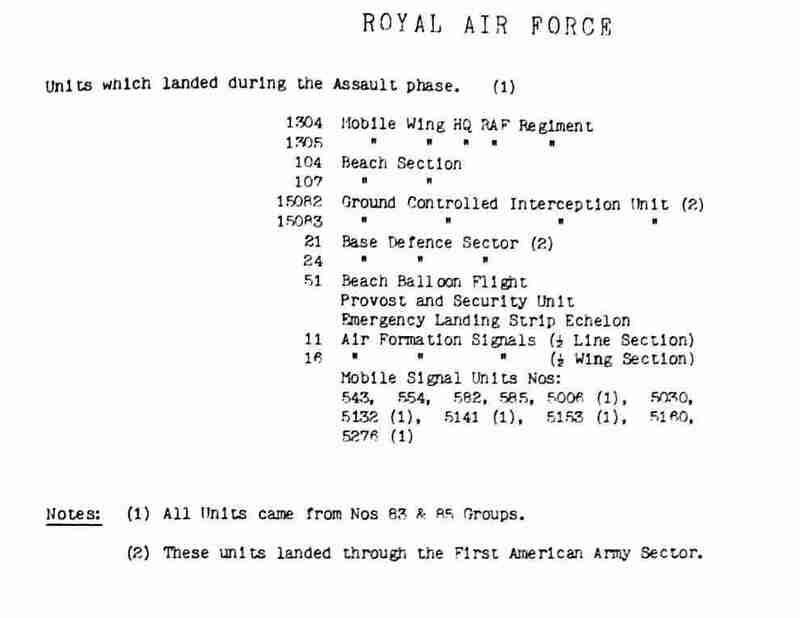 Just a brief correction – you have 11 and 16 Air Formation Signals on the list of RAF units which landed in the assault stage. 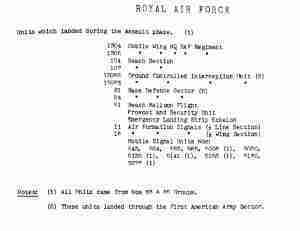 Air Formation Signals were Army, not RAF – see this website http://www.afsa-assu.co.uk/#/history-of-afs/4533434848 – my late father was an RAF Telephonist on 125 Wing, from Ford to Husum via Kastrup, and told me that 11 AFS did the setting up of the teleprinters, telephone lines etc. before they moved into the ALG’s – as he was in the Advance Party sometimes they had to do this themselves if they got there before 11 AFS. On 1 January 1945 he was laying/repairing telephone lines to the dispersals when Y.32 Ophoven/Belgium was shot up in Operation Bodenplatte. He was one of the original members of 83 (Composite) Group HQ – having served in it’s predecessor Z Mobile Composite Group, in Exercise Spartan in March 1943, which became 83 (Composite) Group on 1 April 1943 at Gatton Park, Redhill until he moved to 125 Airfield/Wing in April 1944. I have a photo of my father with two friends taken at Douai in Septemer ’44, one RAF and one Army, from 11 AFS. I like your site and will follow its progress with great interest. Thank you very much for your very interesting reply.I will look forward to reading your link and we come back to you shortly on your private e-mail.